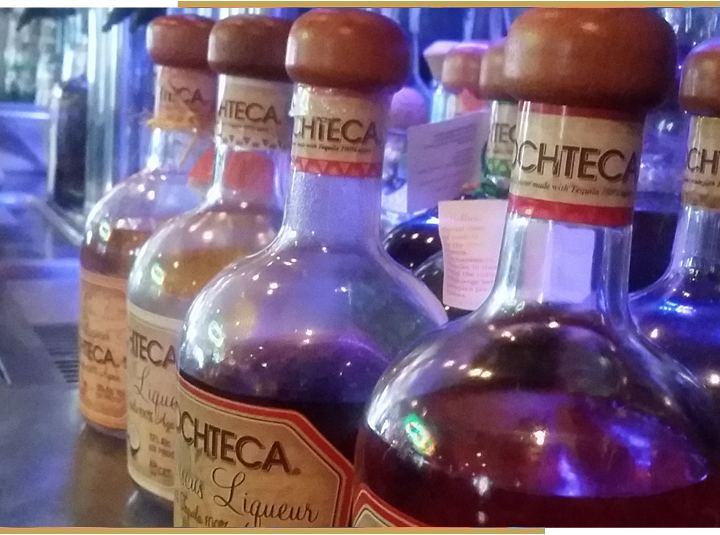 Pochteca Liqueurs is the only All Natural flavored liqueur made with Tequila 100% Agave. Our flavors include: Almond, Blackberry, Chocolate, Coffee, Mango, Coconut, Lime, Hibiscus, Tamarind and Pomegranate. 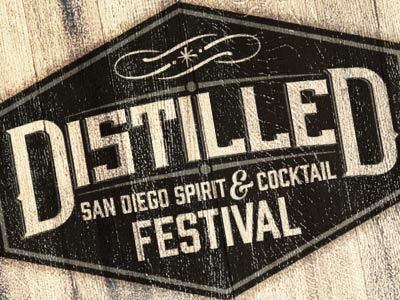 Pochteca Liqueurs is proudly imported by Global Spirits Imports, LLC, which consists of Judith & Daniel Villaneda. In an attempt to highlight the best of our Mexican culture, the Villaneda family is honored to showcase Pochteca Liqueurs to the world.Jorge Martinez Cano is an adviser to the Tequila industry, instructor of Tequila tastings (Cata), and author of the book Tequila: History, Development and Control (Tecno Agave). Crush peppermint and blackberries with lemon juice. Add them in the glass "shaker" together with Pochteca blackberry liqueur and cranberry juice. Shake vigorously, strain the mixture and serve in a sour glass. Frost with sugar the tip of an old fashioned glass, add ice, Pochteca Tamarind liqueur , orange juice, grapefruit juice, cranberry juice and mix. 1 Shot of Pochteca Pomegranate Liqueur 1 Shot of Tonic Water 2 Shots of Ginger Ale. Fill the Goblet Glass (Schooner/Chalice) with ice, add Pochteca Pomegranate Liqueur, Tonic Water & Ginger Ale portions till filling the cup. or your favorite fruit) 2 tablespoons of chopped mango 1 Shot of orange juice 1 Shot of grapefruit juice. Crush 2 pieces of tropical fruit and 2 tablespoons of mango. Add them in the glass "Shaker" along with the Pochteca Mango Liqueur shot, orange juice, grapefruit juice shots and ice. Shake vigorously, strain the mixture and serve. 1 Shot of Pochteca Coconut liqueur 2 Lemon juice 1 shot of cranberry juice ½ Cinnamon twig A spoonful of Dehydrated Cranberries. Crush the dehydrated cranberries with the ½ cinnamon stick. Add them in the "shaker" along with a shot of Pochteca coconut liqueur, lemon juice and ice. Shake vigorously, strain the mixture and serve in vintage Coupe cup. 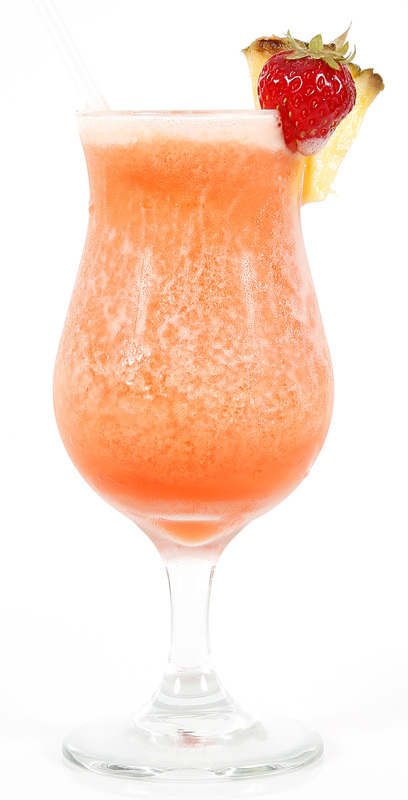 Blend all the ingredients and pour in a hurricane glass. Garnish with a pineapple & strawberry flag.